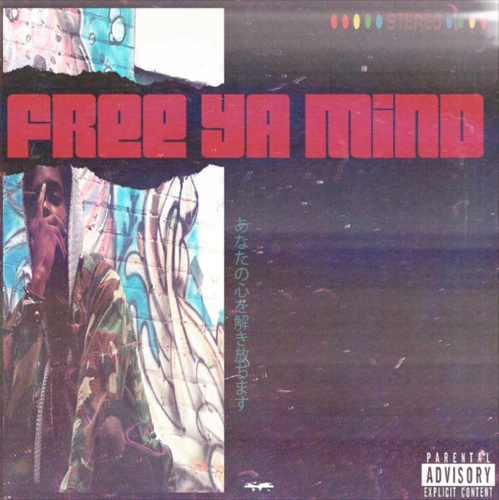 Rising Buffalo-based emcee, Chill Ali, earns his moniker with his latest, long-gestating project, FREE YA MIND. This nine-track offering, which Chill served as both rapper and producer, is two years in the making. The thought and dedication that went into the process is obvious, but as a result Chill has created a superbly cerebral and zen indie-rap album that shows promise of the spitter’s budding signature sound. As a producer, Chill’s productions are spotlight stealing and mess with your senses and perceptions in the best way possible. Hypnotizing beats reverb, melt and ungulate with the syrupy influence of the Houston and cloud surfing hip-hop scenes. The closing title track in particular will massage your brain and get your head nodding in euphoric satisfaction. As a wordsmith, Chill floats over his dreamy beats with a cool and assured flow. His subject matter varies from Buffalo street raps, personal anecdotes and third-eye introspection peppered with lax wordplay. Grounded and self-aware, Chill’s lyrics shine on the opening record, “Karma’s A…,” with bars that break out of the box and challenge your thinking. The album’s standout tracks include the trap-friendly “Blick James,” audio oasis “Face Card,” and swagidocious title track. With the release of FREE YA MIND, Chill Ali adds his best work to date to an already extensive catalog. Lean back and kick your feet up with this rising emcee’s heady, easy-on-the-ears album below.